Never Events: will they ever be never? What is a ‘never event’ in the context of medical treatment in NHS hospitals, how are patients affected and why are they still occurring? I was reading in the news this week reports that there have been over 1,000 patients affected by ‘never events’ while receiving medical treatment in NHS hospitals in England between April 2012 and the end of December 2015, a period of just under 4 years. What is perhaps more concerning is that the numbers of patients affected are not reducing, as for a similar 4 year period between 2009 and 2012 there were just over 750 never events, which I have written about before. A ‘never event’ is defined by NHS England as a “serious incident” which is “wholly preventable, where guidance or safety recommendations that provide strong systemic protective barriers are available at a national level, and should have been implemented by all healthcare providers” and “has the potential to cause serious patient harm or death. However, serious harm or death is not required to have happened as a result of a specific incident occurrence for that incident to be categorised as a Never Event”. In summary, a ‘never event’ is an incident during medical treatment which has the potential to cause harm to the patient, and which should never occur because there are protective measures in place, which if followed correctly, should ensure the incident is prevented. By reverse, if a ‘never event’ does occur then the logical explanation is that the preventative measures available were simply not implemented or followed. On further reading, it is interesting to note that the list of incidents defined as being ‘never events’ was reduced last year from 25 incidents to just 14, but despite this reduction the total number of events is not seemingly reducing. 1. 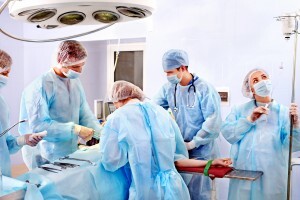 Wrong site surgery – “a surgical intervention performed on the wrong patient or wrong site and the incident is detected any time after the start of the procedure”. 2. Wrong implant/prosthesis – “surgical placement of the wrong implant or prosthesis, where the implant/prosthesis placed in the patient is other than that specified in the surgical plan”. 3. Retention of a foreign object in a patient after a surgical/invasive procedure – examples of “foreign objects” are: swabs, needles, instruments and guide wires. 4. Wrong route administration of medication – such as intravenous administration of a medication which should have been administered via an epidural route. 5. Falls from poorly restricted windows. It is difficult to know why these ‘never events’ are still occurring. It is possible that the numbers are not rising, but simply that a greater proportion of the events are being formally reported. Being open about these events and formally reporting them is in line with the recent introduction of a statutory ‘duty of candour’ if a medical error has led to significant harm to a patient. NHS England also now have in place strict requirements for the reporting of these never events to seek to ensure learning and prevention of further events. If the events are still happening then it raises the question of whether the subsequent learning is taking place after an event has been reported. Whilst it does also need to be remembered that the number of patients suffering avoidable injury as a result of ‘never events’ is extremely small compared with the numbers of patients being treated in hospital every year, it remains the case that ‘never events’ have been given this name for a reason – they should never happen and therefore more needs to be done to prevent this ongoing and “wholly preventable” harm to NHS patients. In my experience in acting for patients who have suffered injury due to clinical negligence it can be very difficult for a patient to come to terms with what has happened, particularly when it was so easy to prevent, and these injuries can have significant and longstanding effects on the patient. These reports of ongoing and completely avoidable patient harm are also being highlighted at a time when there are serious plans underway to seek to fix legal fees for a large proportion of clinical negligence cases which will, if implemented, restrict access to justice for many patients who have been injured in this way.